I thought I’d share with you guys a bit of the journey I’ve had with my skin for the past few years, I will also be sharing my skincare routine that is a godsend as well as some tips I have learned. So I’ll start with the fact that I’ve got pretty dry skin all year round and used to break out a lot. When I am back home visiting Singapore sometimes it does get a bit oily as it is crazy humid there but still most days my skins dry. Through out my teenage life I never had a problem with my skin, it was never too dry or too oily and I rarely had pimples, blackheads etc. This started to change once I graduated High School in 2014. I started to get around 2-4 pimples at a time and once they would go down I’d get another in a few days to a week later. It wasn’t like cystic acne or anything like that, to be honest it wasn’t anything I couldn’t really cover up with makeup but what I struggled with the most was probably scarring. I’ve got naturally tanned skin and so when I scar it is very dark and takes a long time to fade. The products I use are products that have helped me a lot in terms of clearing my skin from any spots or large pores, lighten my scars or helps me prevent scarring as well as helping with the dryness of my skin. 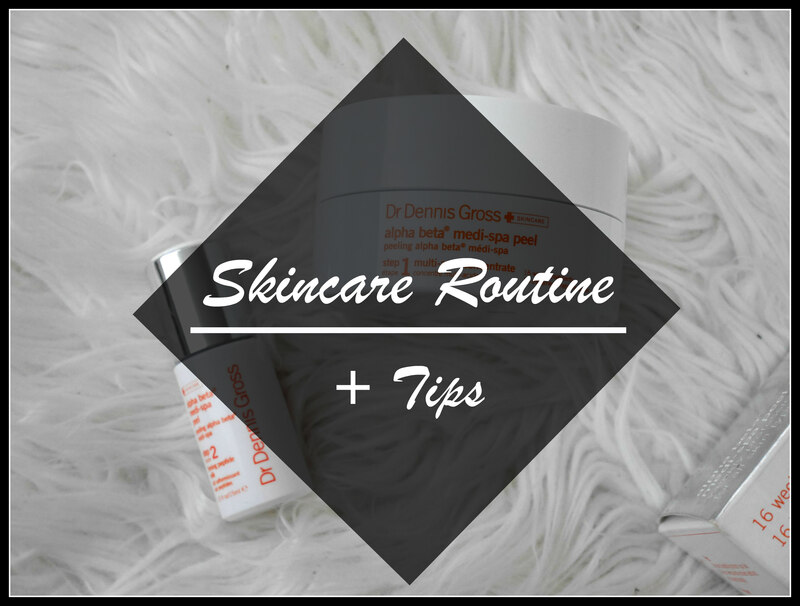 This skincare routine includes products that have helped me a lot but may not be suitable or work on you, as you probably already know, everybody has skin that reacts differently to various products. But if you do try any of these out or have already tried them let me know in the comments what your opinions are on the product. So just to give you guys an example this is my bare skin between 2016 & 2018. I have always been a huge fan of Boscia products and this Boscia detoxifying oil cleanser has been part of my skincare routine for as long as I can remember and I love pairing it up with this facial brush by Olay. I can always count on the Bioderma micellaire water to remove any makeup left over after I have used the oil cleanser. So the first exfoliating product I use is the Clearasil ultra 5in1 exfoliating scrub, I try to stay away from products that target spots as I find them extremely drying but this clearsil scrub doesn’t dry out my skin at all. The second is the Boscia exfoliating peel gel, unlike most exfoliating products this one does not include beads which is great for people who struggle with redness. I love switching up my toners between the T.N. Dickensons Witch Hazel and Pixi’s Glow Tonic. Witch Hazel has so many benefits to your skin targeting things like acne, sun damages, large pores and more. The product on the left which is the Ole Henriksen Truth Serum helps brighten and hydrate your face, it’s got more or a watery texture and doesn’t feel oily at all so I’d recommend this to anybody with oily skin. The Kiehls Clearly Corrective Dark Spot Solution is a product to help lighten any dark spots and even out skin tone. Continuing from the Kiehls product another product I love to use on my scars is Bio Oil. I’ve recommended this product to anyone I know that has also had any type of scarring wether it is from spots or an injury. The Mario Badescu Facial Spray are my go to when I need to hydrate or just freshen up my face. The Tarte Drink of h20 and Maracuja Oil are my life saving combination when it comes to my drink skin. I’m quite sensitive to moisturisers especially the creamy ones so I like to use a more watery based moisturiser and this one has worked amazingly. Secondly I love applying the Maracuja oil before bed as it is a key product that gives me a nice fresh glow when I wake up. From left to right: L’oreal Pure Clay Detoxifying Mask, Peter Thomas Roth Irish Moor Mud Mask, Glamglow Youthmud, Pether Thomas Roth Cucumber Gel Mask & Peter Thomas Roth Rose Stem Cell Mask. (Excuse my grown out nail I have to get them redone) But a product that has saved me is the Mario Badescu Drying Lotion it just does the best job in reducing my pimple size overnight. The Dr Dennis Gross Alpha Beta Medi-spa Peel is a product that has really helped out with my overall skin from evening out my skin tone to improving my skin texture. The first step includes these pads you apply on your face until there is no more product left on it. Then you apply step 2 which is a firming milk. This product is also great for anyone who would like to try out any anti-ageing products as it also helps combat signs of ageing. 1. You probably hear this a MILLION times but, drink water. It really really makes a difference on how your skin appears and feels. There are days I don’t mind drinking water but majority of the time I get so bored of it which is where infused water comes in handy! These tips could honestly go on forever so I will leave it there, but yeah if you’ve got any products that you swear by let me know! I love trying out or hearing about new products. Teaching myself not to touch my face or mess with any blemishes I get has been a LIFESAVER haha it’s helped my skin heal so well. I’m training my boyfriend to do the same and his skin looks great too (: awesome post! I loved seeing all your products and that glow-up, girl!